“The Disaster Artist” has a billboard currently on Highland Ave. in Los Angeles which hilariously channels Tommy Wiseau’s original “The Room” poster. The billboard is exactly where the original billboard for “The Room” was 14 years ago, according to indie film company A24. Back in 2003, writer/director/star Tommy Wiseau placed the billboard with his face in black and white asking pedestrians to call a number to “RSVP” for a screening. 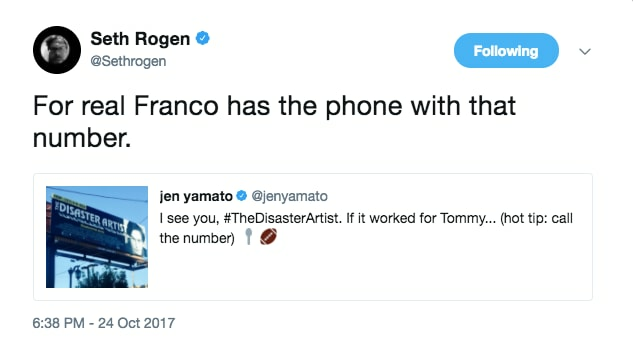 According to Seth Rogen, Franco is indeed in possession of the phone that receives the billboard’s listed phone number. See James Franco's latest POWER MOVE. Franco, who stars as Wiseau in the film, notoriously stayed in character — including facial prosthetics and an imitation of Wiseau’s peculiar accent — while he was overseeing the shoot. Oh, and in case you didn’t already know, “The Room” is considered in most circles as one of the worst movies ever made. 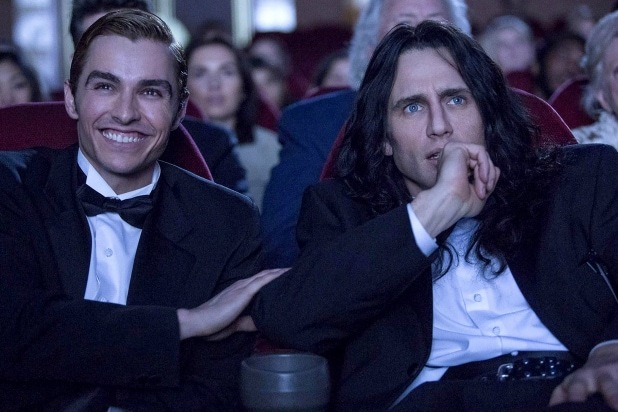 A24 releases “The Disaster Artist” on Dec. 8.